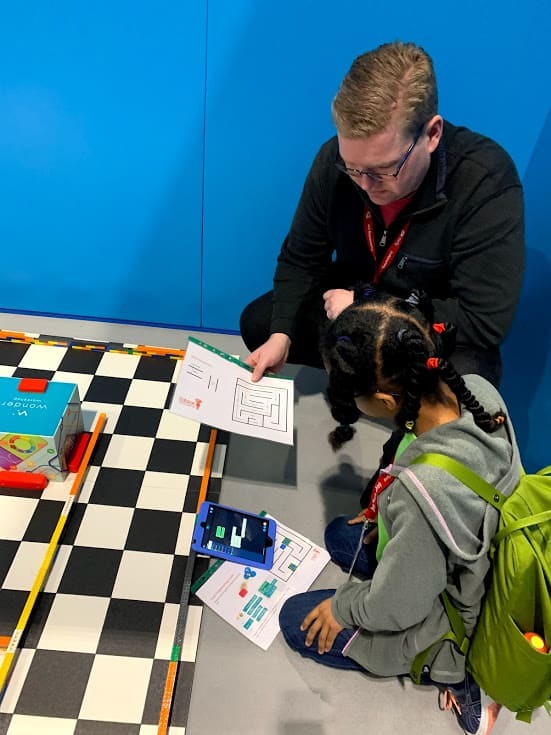 My day on the Microbit stand at Bett 2019! 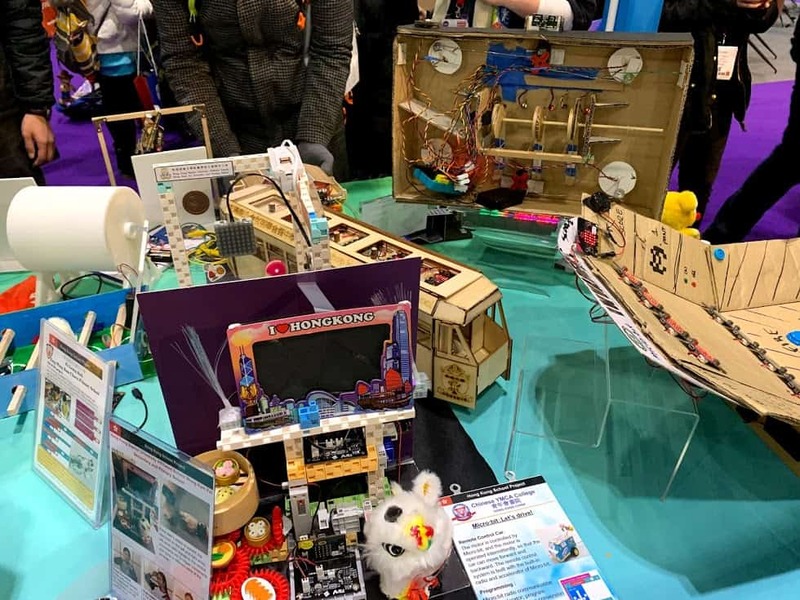 and brought along two projects to showcase on their Bett stand. 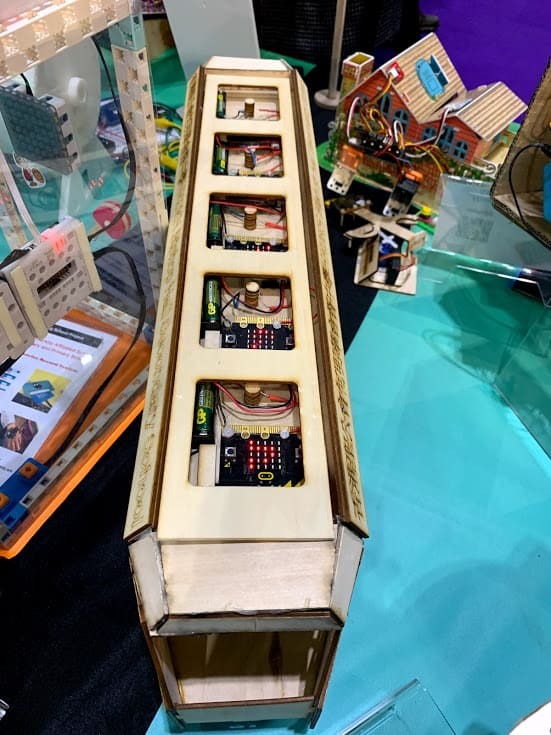 I felt over the moon that Microbit had asked me to be part of the team for this year’s Bett show. 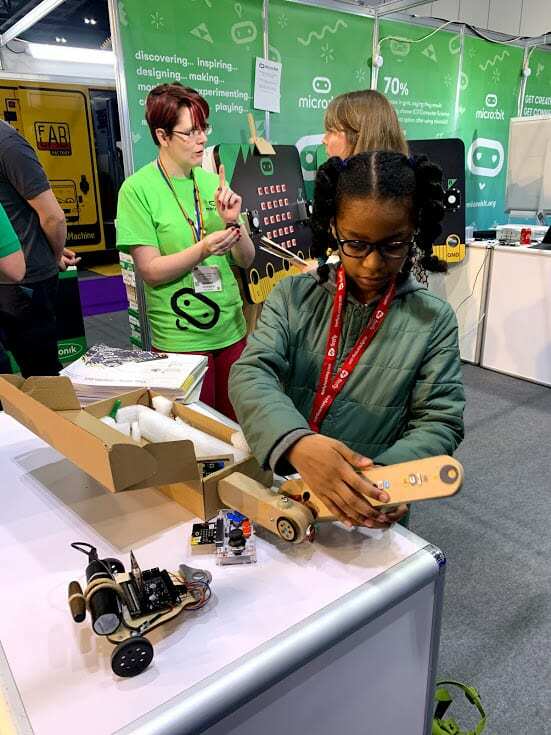 For those of you who do not know what Bett is, its an annual trade show in the UK about education & Tech and is organised by the ITE group. 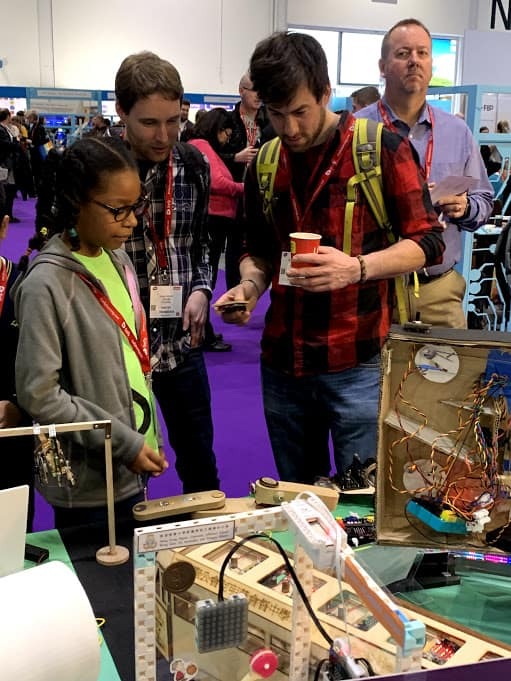 The first Bett show started in 1985 and from 2013 onwards it has been held every January at Excel London. This year it ran from January 23rd to January 26th. 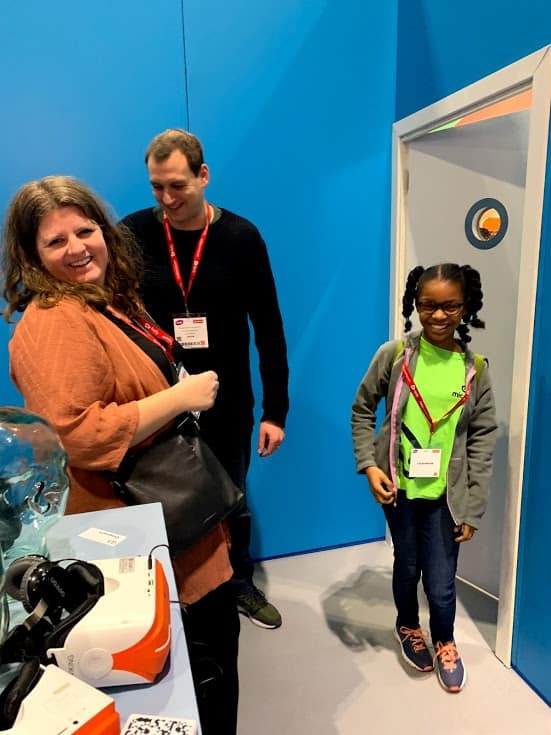 On Thursday, January 24th, I arrived at Bett slighty before the 10:00am which was the time the event was opened to the public. 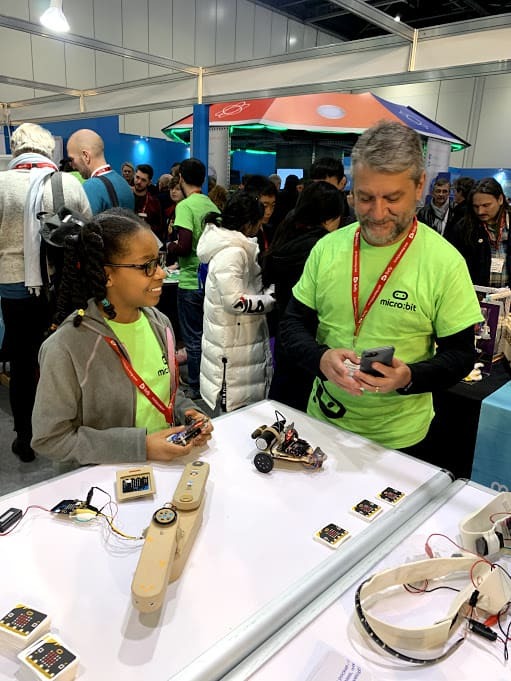 I was happy to see some familiar & new faces, people who worked for the Microbit foundation or who were helping out like me: Rachel, Emma, David, Lorraine to name a few . They all gave me a very nice and warm welcome! It put me at ease straight away! 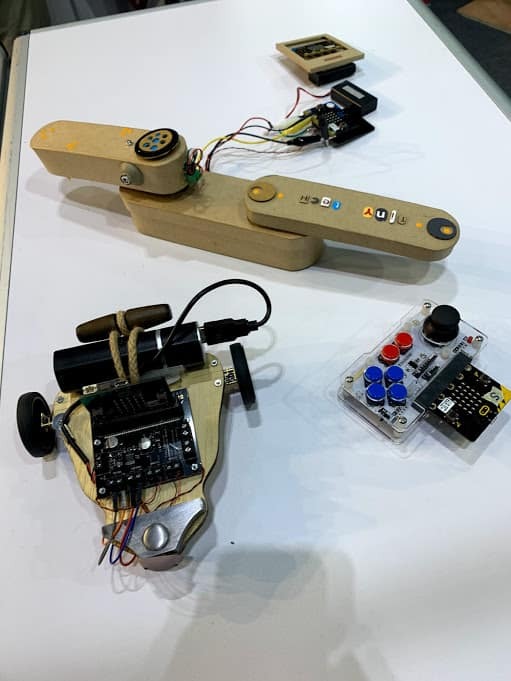 Before the show started I set up my two Microbit projects: Tiny tech, a radio controlled creature and my remote controlled carbot using a Microbit Joystick. The team gave me a cool Microbit T-Shirt. 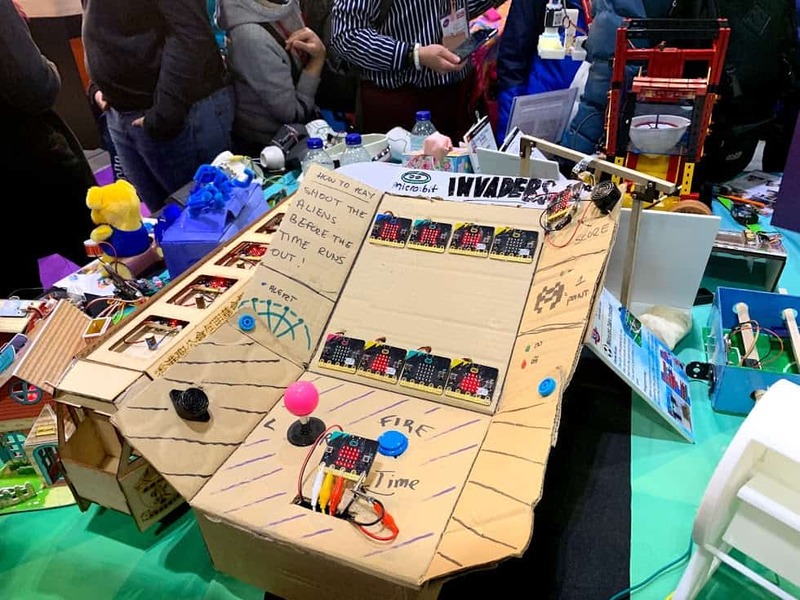 This showed I was part of their Microbit team! As soon as it reached10:00am, loads of people came rushing in. 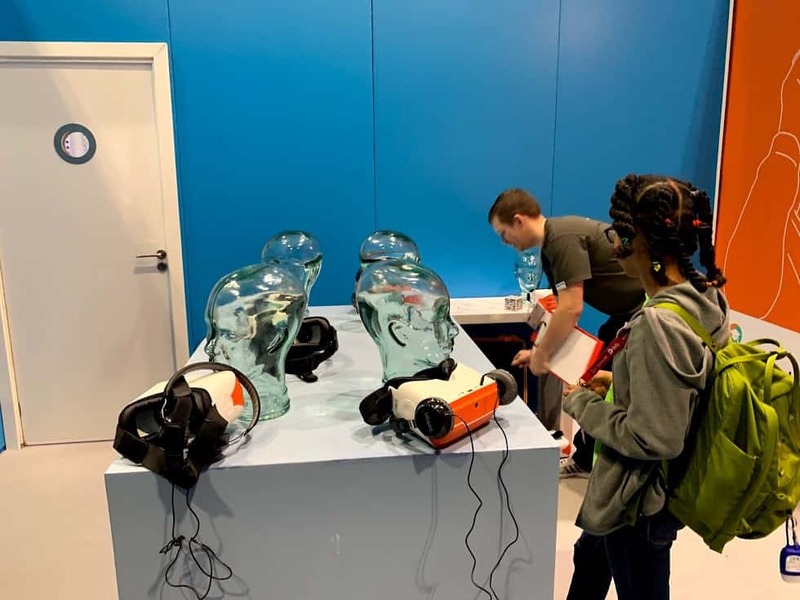 I was placed in a nice spot where I had the opportunity to talk about my projects to the visitors! Lots of them were really interested in my work! What I most enjoyed was meeting all the different age groups. 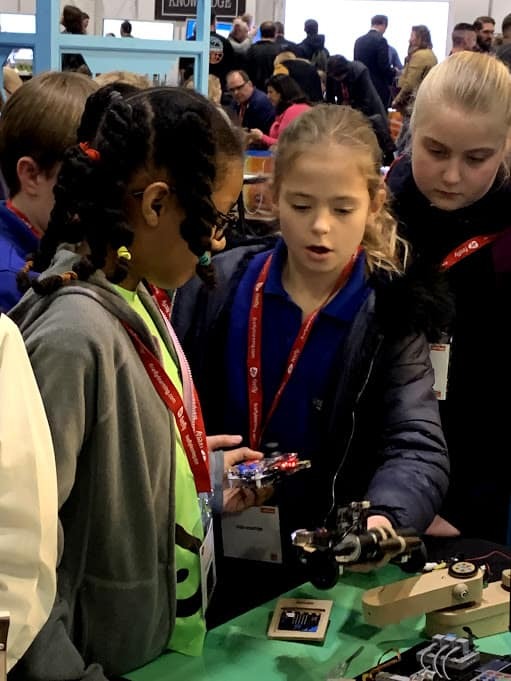 They came to me asking questions about how I created Tiny Tech and the radio controlled bot. They were really curious! I felt very comfortable answering their questions and explaining how things worked together. I hope that in some way, I was able to inspire the teachers, educators, kids and other members of the public. 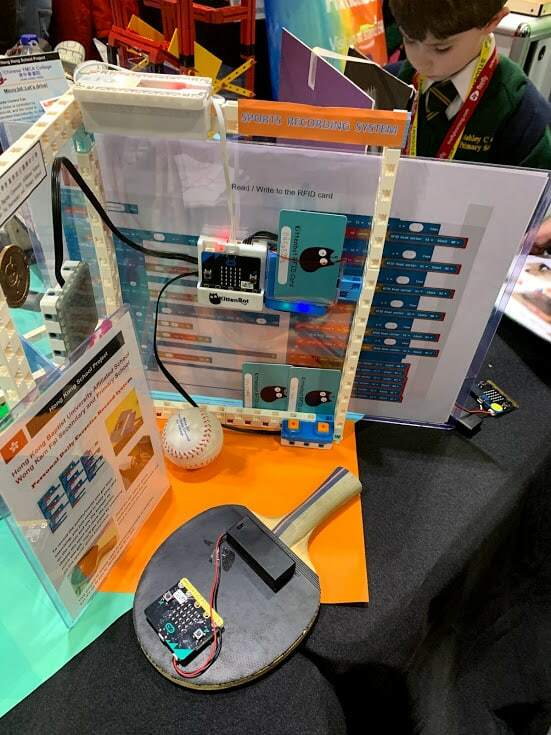 When the chance came up, I played around with the two giant Micro:bits that were on the stand, feeding them with codes and playing games. This was great as people passing the stand could see it in action and have a go themselves! 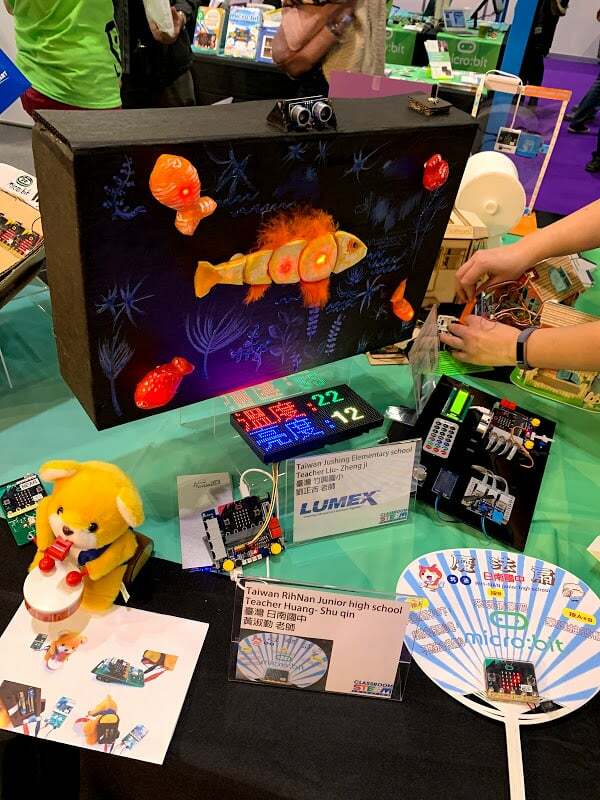 On the Microbit stand, there were also lots of very cleverly designed projects made by students and educators from different schools from around the world. It really inspired me! Shortly after 1.30pm, I packed up and went to have a look around the other stands. I was curious to see what other organisations were exhibiting. Something I thought I just had to try was the escape room, so I did! With my mum. It was in high demand, but thanks to a nice lady we were able to get a slot! 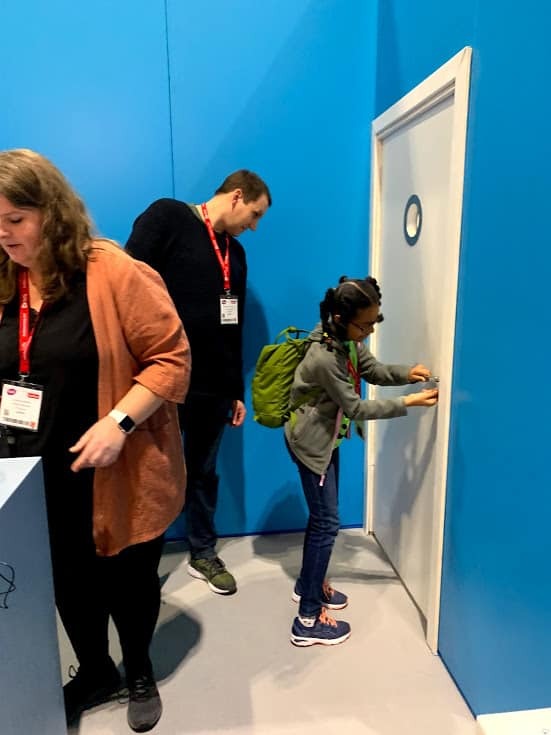 The aim of the Escape Room was to complete a series of challenges in order to get the keys which would allow you to escape the room you were in and then to open the door to the next room. 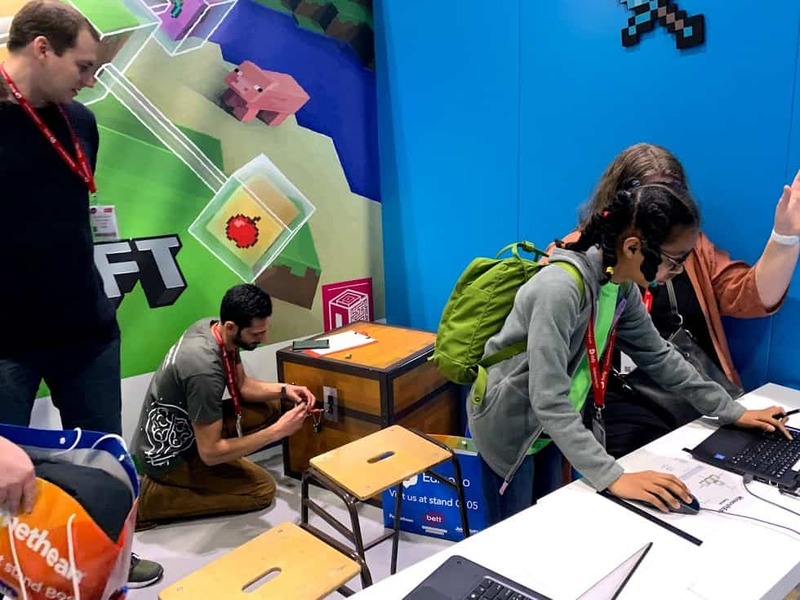 There were three main challenges: Minecraft, coding the Wonder robots and a virtual reality challenge. We were grouped with 3 Danish people. They were really nice and the 5 of us made a great team. We escaped all 3 rooms! The time went really quickly and I did not get the chance to see everything! 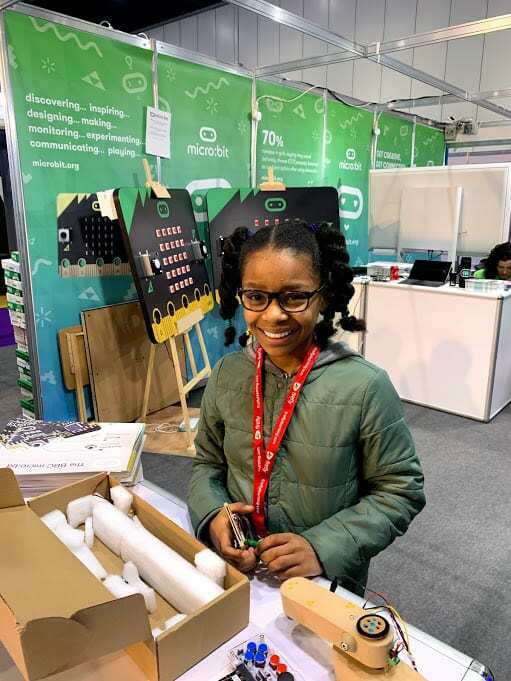 Overall, I was really happy to be part of the Microbit stand and I would definitely love to do it again next year and visit other stands! On the whole, I think the atmosphere was bright and lively. In fact it was buzzing! 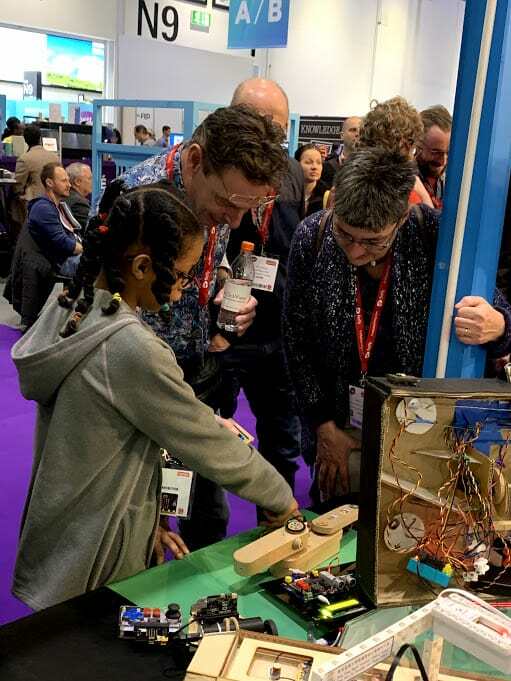 HI Avye, It’s great to see your involvement in the Bett Show again. Well done!